Yu Yanjuan, Bachelor’s Degree, graduated from the English Department of Beijing International Studies University (BISU) in China. She is now an English-language journalist and editor working for Project Management Review Magazine and website. 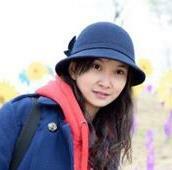 In the past, she has worked as a journalist and editor for China Manned Space Agency website and Student English Times. She once worked part-time as English teacher in training centers. For work contact, she can be reached via email [email protected] or Linkedin https://www.linkedin.com/in/yanjuan-yu-76b280151/.